We have been traveling less the last few weeks. Our main task has been to continue building up relationships and partnerships here in central New York while setting up time to invest and minister with other churches here in the region and back in the Southwest. One answer to prayer was an opportunity I had to share the gospel briefly with children and young people at the Vacation Bible School at First Baptist Church, Cincinnatus, NY. The church welcomed us to the cookout afterward, and we enjoyed connecting with new friends and with folks Jenny's family has known for years. Jen's grandfather had pastored this church when their family lived up here, and the church remembers him fondly. We hope to continue building contacts here and look forward to their missions conference this October. We spent part of Independence Day with Calvary Baptist, Preble. We savored the opportunity to celebrate our American freedoms with these believers. We had already enjoyed presenting our work to the church on 24-Jun, and we're looking forward to continuing to serve this church as they look for a pastor. Would you pray that God would grant wisdom to the pulpit committee and that they would be able to find a pastor? 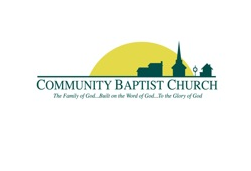 The coming weeks have us in Michigan as we get to know Community Baptist Church in Woodhaven. They are graciously having us back for an extended time after my initial presentation in April. We are excited about this opportunity to dive into ministry with this church as it seeks to fulfill Christ's mission. We are so grateful for the host of people who pray for us regularly. Please keep these three churches in mind as we pray together for God to provide for our needs through his people so that we can further Christ's fame in Kenya!